I already told you about my experience with the California Wine Club but my December shipment arrived, so I wanted to write about those, too. This month's selected vineyard is Daniel Gehrs Wines, hailing from Los Olivos in California's Santa Ynez Valley. The bottles came festively adorned in holiday foil, 2011 Chenin Blanc in silver and 2009 Merlot in red. 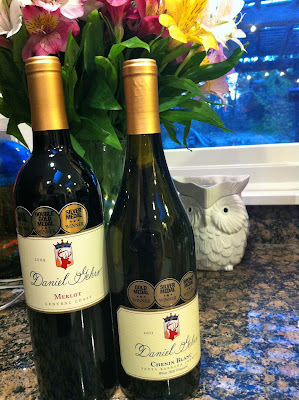 The Daniel Gehrs Merlot was really, really easy to drink, so I am not surprised that it has won multiple gold medals. It was fruity and smooth and paired well with beef and even turkey. The Daniel Gehrs Chenin Blanc has a crisp tartness that I enjoyed. It was great with spicy Thai food. It was interesting to read Daniel Gehr's history in the issue of Uncorked that came with my subscription. He has been working in the wine industry since 1974, up and down the central coast region. He claims the Chenin Blanc as one of his personal favorites. Gehr says that the Chenin Blanc is unusually long-lived for a white wine, since they usually have relatively short life spans. If there are still some names with question marks next to them on your shopping list, visit www.cawineclub.com for fun and unique holiday gift wine subscriptions starting at just $49.95, including shipping. You can also buy wines by the case and save substantially on the per-bottle retail price. Note: Ground Shipping Deadline is December 12th. Any orders placed after Dec 12 incur expedited air charges for Christmas deliveries. 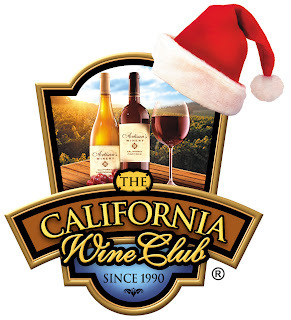 Click here to enter The California Wine Club Holiday Giveaway! In accordance to the FTC Guidelines and the WOMMA Code of Ethics, I am disclosing that I received a two-month subscription to the California Wine Club in order to facilitate this review, which was made possible by Mom Spark Media. As usual, all thoughts are my own.